Fordham University Graduate School of Education will present Lorna R. Lewis, EdD, for the next Barbara L. Jackson Lecture on Thursday, October 25 at 5:30 p.m. The event will be held in the 12th Floor Lounge, Lowenstein Center, on the Lincoln Center campus at 113 West 60th Street, New York. In her talk, “Conscious Leadership in Changing Times,” Lewis will explore the attributes of educational leadership needed to meet a myriad of demands, while keeping focus on providing a climate that supports student success. There will be a reception immediately following the lecture. Please RSVP to gsedeans@fordham.edu by October 19. Lewis currently serves as the Superintendent of Schools in the Plainview Old-Bethpage CSD. She is the Assistant Secretary of ERASE Racism, a regional organization that leads public policy advocacy campaigns and related initiatives to promote racial equity in areas such as housing, public school education, and community development. Lewis is also a member of the executive board of New York State Council of School Superintendents (NYSCOSS), where she co-chairs the curriculum committee. Read her full biography below. Lorna R. Lewis received a Bachelor of Science in physics from Fordham College at Rose Hill in 1975 and went on to earn three master’s degrees before completing her doctorate in science education from Teachers College, Columbia University. She is currently superintendent of the Plainview-Old Bethpage Central School District on Long Island. Superintendent Lewis began her teaching career at the Collegiate School, where she taught mathematics and advanced placement physics. 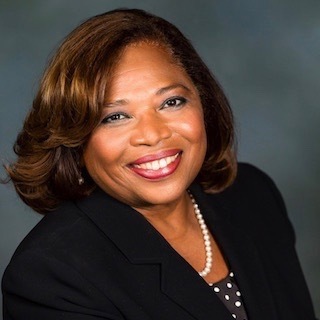 She has served in various administrative capacities including science chair in the Rockville Centre school district, science director in the Uniondale district, deputy superintendent in the Three Village Central School District, and superintendent of the East Williston district. She serves as president of the New York State Council of School Superintendents and also co-chairs its curriculum committee. She is a past president of LIASCD—or Long Island Association for Supervision and Curriculum Development—and of the Nassau County Council of School Superintendents, and a member of the Long Island Stem Hub Board of Champions. She serves on the board of ERASE Racism, a regional organization that promotes racial equality in housing, public education, and other areas. She received the 2004 Education Award from the Freeport-Roosevelt branch of the NAACP and Educator of the Year awards from the Korean Parents Association of Long Island, the St. John’s University Chapter of Phi Delta Kappa, and the Long Island Black Educators Association. In 2014 she received the Martin Luther King Jr. Community Award from the Suffolk County Commission, and in 2015 she received a Nassau BOCES Education Partner Award.